Maybe you should give the new little pro two of these uncommonly cute “Sweet Tee” Golf Layette Sets in case he gets a “hole in one”! 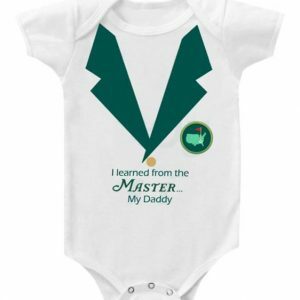 Can you imagine a more winning baby gift for the golf-obsessed mom and dad? Their little duffer will be the club hit! 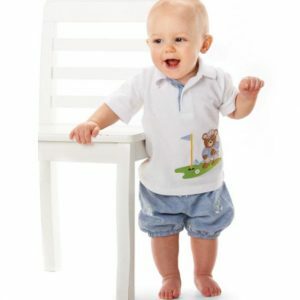 • Sporty golf layette set includes soft green-and-beige argyle-print bodysuit with white sleeves, back and bottom and beige trim and secure snap closure. • Sweet matching argyle tam with sky-blue pom-pom accent and white booties with green trim and sky-blue pom poms complete the perfect 3 piece new to the tour. 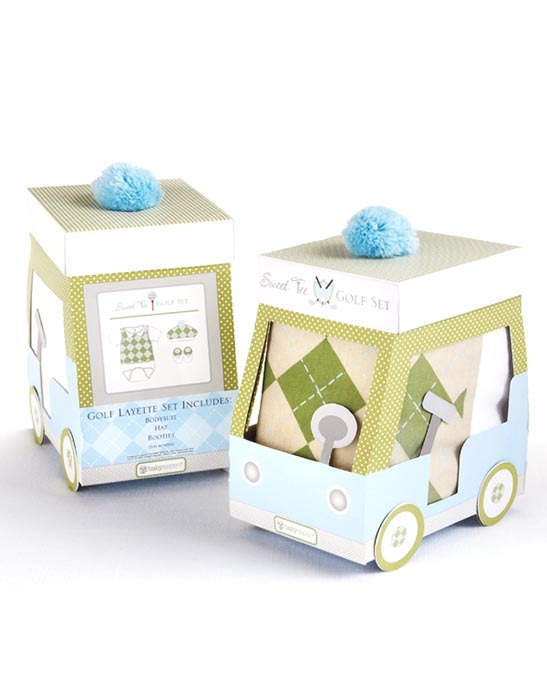 • Cute mini-golf-cart gift box with the same green, blue, beige and white color scheme has clear windows that showcase the layette and a hole in the top where the tam’s pom pom pops through. 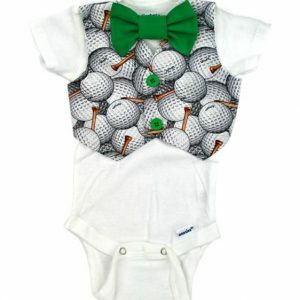 “Sweet Tee” golf-themed layette is a spectacular stroke of genius! So is the “Gift-and-Go” gift box. This 3 piece golf layette set is the perfect starter set or shower gift for the newest to the tour little golfer. Get one today!! Category: Baby Boy Golf Gifts.